Old South Meeting House - 1729 National Historic Landmark where the Boston Tea Party began in 1773. Old South Meeting House in Boston, Massachusetts, is a museum, National Historic Landmark, and active center for civic dialogue and free expression since 1729.
the Downtown Crossing area of Boston. Visit our listings of upcoming and annual events, or find out when our annual Boston Tea Party Reenactment is brewing. Step inside one of the nation's most important colonial landmarks and experience the place that changed American history forever. 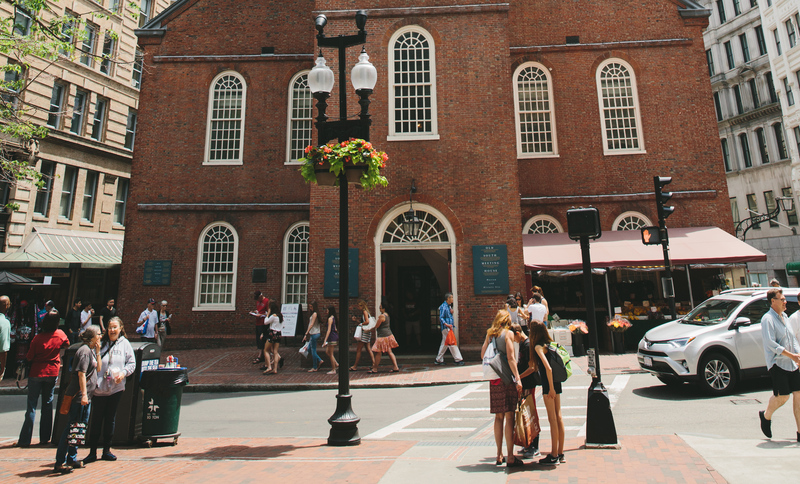 Explore America's proud history of democracy and dissent at Old South Meeting House in popular interactive programs tailored to your group. NO TAX ON TEA! That cry from the colonists brewed the rebellious Boston Tea Party. Almost 150 patriots stormed the ships to destroy the tea. Our annual reenactment of the event that sparked the American Revolution. So you want to relive a revolution? Learn more about the decision on December 16, 1773, when 5,000 angry colonists gathered at the Old South Meeting House to protest a tax... and started a revolution with the Boston Tea Party. We celebrate the historic anniversary of Boston's most iconic protest--the Boston Tea Party--on December 16. 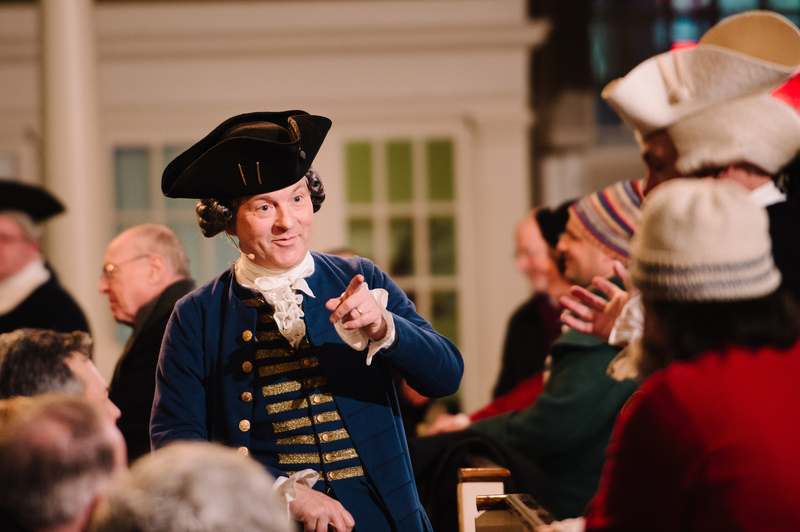 Presented by Old South Meeting House and the Boston Tea Party Ships & Museum, this annual event is your own time machine to Boston's colonial past! Support a living legacy of freedom! 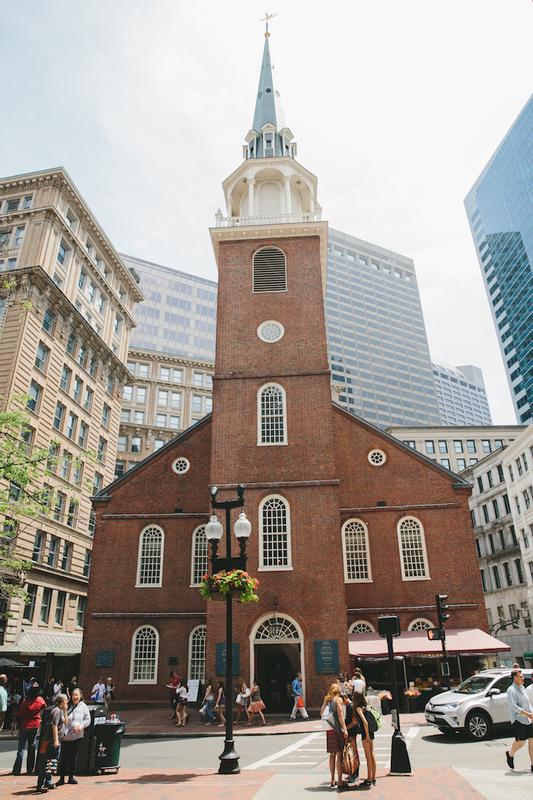 Your support of Old South Meeting House, a museum and National Historic Landmark, helps preserve an American icon. Contributions from people like you provide critical funding to reach more than 80,000 visitors each year with vibrant programming and exhibits, and more than 10,000 students and teachers with acclaimed educational programs.